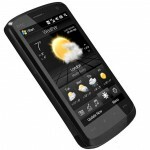 This HTC Touch HD has a large, beautiful touchscreen, designed to excel both in watching video and in navigation. The HD also packs in GPS, Wi-Fi, HSDPA 3G (up to 7.2Mbps downloads and 2Mbps uploads), a five-megapixel camera, a microSD memory card and loads more. It is also easily portable. The phone has a 3.8 inches and 800 by 480 pixels of sheer beauty. It is fairly thin: 0.47 inches. It also comes with HTC’s alternate user interface, TouchFLO 3D which designed to make the device easier to use with a fingertip. This gives easy access to all the most commonly performed tasks: check email, play music, check stocks, surf the Web, and so on. Arranged into a series of tabs, you can slide back and forth between tabs by sliding your finger on the screen What I feel is a disadvantage is that as soon as the phone starts ringing the call can be picked up by a single tap of a button while another tap sends the call to voice mail, so sensitive is this smartphone. Moreover the Windows Mobile automatically turns the screen off as soon as a call is connected. But with one push of the Power button the screen will turn back on and the call won’t be affected. The Touch HD’s battery life is indeed remarkable..It supports 3G networks in Europe, Asia. This smartphonekeeps track of your address book and appointments, email and even working with Microsoft Office files. A great productivity tool of this phone is that you can synchronise your personal data with your PC. It is a powerful business device, but its large display also makes it an outstanding mobile video player and you can watch streaming TV with a SlingBox. The five-megapixel camera is an improvement on other HTC models but it still falls short of the quality cameras on offer from, well, virtually all the major phone manufacturers. Extra camera features include a panorama mode, which allows you to take a series of between three and six photos which the camera will stitch together into a panoramic image. Browsing the net is a key element of this device too and the HD makes it easy. Opera is the default browser and the on-screen keyboard is a little cramped but easy enough to use with the tip of the finger. With the music player you can browse your tracks with ease. This is the first of the Touch series to sport a 3.5mm headphone jack and while the 512MB of onboard memory won’t hold much of your collection, you can add up to 16GB via microSD card. There’s an FM radio too, with 20 presets. Of all HTC’s Touch devices, this is the one that comes closest to competing directly with the iPhone and trumps it in virtually every category. 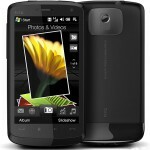 And for those who are willing to pay for the best, the HTC Touch HD could be the way to go.